Before you start with Get Running, or any running program, check with your doctor, especially if you have any concerns about your fitness or health. You don’t need to spend a fortune to run. 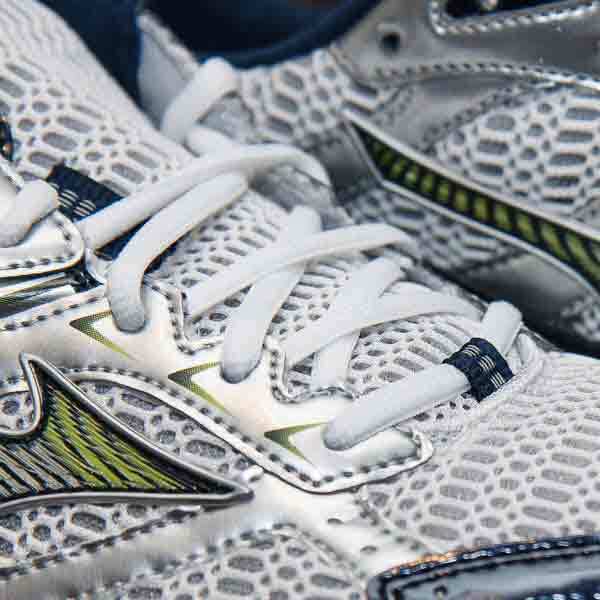 Good, comfortable running shoes are a must, but they don’t need to be expensive. And a water bottle is a good idea. Other than that all you need is some clothes you feel comfortable in. Oh, and your iPhone or iPod Touch! Always warm up before you run. We recommend five minutes of quick walking to get your muscles moving. Get Running tells you when to warm up, and times your warm-up for you. Get Running reminds you to stretch, too. We found About Running’s advice on stretching really useful. Eat a light meal before you run. A banana, say, or breakfast cereal. That’s the right kind of thing. You don’t want to run out of juice halfway, but you don’t want to weigh yourself down with a heavy meal, either! Give yourself a little time to start digesting before you set off. Get Running doesn’t set a speed for you to run. You should run at your own pace. A gentle jog is fine, especially in the early days! If you’ve never run before, the excellent Zen Habits blog has some advice on how to go from nothing to running. Get Running’s Run Controls let you pause a run at any point. If you need to stop, then stop! Then get your breath back, and start again when you’re ready. You can begin by going out three times a week and simply walking. Work up to a brisk half hour walk, and when you are ready, add one or two minute long runs to your amble. Once you’ve managed that, you’ll breeze through Get Running’s first week. Really: don’t push yourself too hard. If you’ve signed up for a charity race and want to use Get Running to get in shape for it, then start sooner rather than later! Other people can be a great help when you’re starting out. Persuade a friend to get fit with you — it’ll be fun! Or join in the conversation at an online forum, like our very own forum, or the Runner’s World Beginners forum. Get Running isn’t a race! If you’re having trouble, slow down, especially if you’re going uphill. Once you can run, you can work on increasing your pace. A guide to speed is that you should be able to have a conversation while you are running. If you’re breathing too hard for this, you’re probably running too fast. About.com has some good advice on breathing, too. Try to run three times a week. If you want extra exercise, do something other than running. Make sure that you take at least one day off every week. Get Running suggests that you run every other day, and on each third day, take two days of rest. If you have a bad workout, then don’t get put off! Everyone has bad days, and they normally come just before your running really improves! Pause the run and give yourself a longer walk to recover. Stop the run and switch to a run from the week before instead. If you’re not feeling ready for a new week’s challenges, Get Running lets you easily go back a week. Just tap on the week you want to repeat on the Progress Path before you hit Run! When you’ve completed Get Running’s nine-week course, and can run for half an hour, then you can work on increasing your pace, so that you can cover a greater distance in that time. Get Running guides you through a warm-down walk at the end of your run. And don’t forget to stretch! The C25K plan was developed by Josh Clark. In this interview with Kevin Callahan on Josh’s website, he explains how he came up with the Couch to 5K plan, and how best to use it.